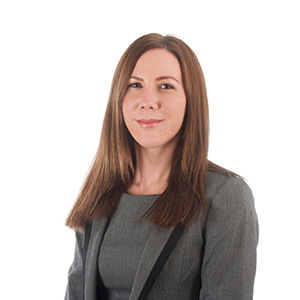 Stacey Ashe, is a Partner at Birchall Blackburn Law and Head of the Client Services team. I recently went to visit her for coffee at the Manchester office to find out more about her role. Q: Hi Stacey, thanks so much for the coffee! So can you give me a bit of background? Hello! Yes of course. I joined Birchall Blackburn Law in 2007 and qualified as a Solicitor in 2011. I was then promoted to Partner in 2016. I spend a lot of my time ensuring that our clients’ needs are met, and help them through the legal maze of whatever it is they’re facing; whether it’s buying their first house, getting them the right advice on a stressful family breakdown, setting up a new business or a life-changing injury. Q: What made you choose Birchall Blackburn Law over another law firm? It’s a friendly firm that really cares about its clients. There was also the opportunity to progress within the firm and develop my career. Q: How long have you been in your current role? I’ve been in my current role as head of client services since August 2013. I hugely enjoy directly being able to help our clients and ensuring that they receive the highest standard of service. I’m able to give them a positive experience with Birchall Blackburn Law, and I take a lot of pride in that. Q: Do you enjoy it? Yes! I really enjoy my job heading up the Client Services Team, no one day is ever the same and I enjoy the challenge of such a diverse role. Q: What’s your expertise in? My background is in Property and Private Client work and for some years I ran my own caseload. As I progressed in Birchall Blackburn Law, my focus changed from working directly on files to spending much more of my time advising on technical issues and problem solving. I enjoy spending time with my friends and family. I also really like to keep fit. I listen to a variety really! Singer/songwriter, pop, rock and alternative. Q: What’s your favourite animal? Q: Favourite place you’ve been to and why? I love the Lake District. It has some stunning views and it’s such a relaxing place to be. Q: Finally, any big ambitions? Yes! To travel to the French Polynesian Islands would be amazing.